This was a fun read. a new to me author so I didn’t really know what to expect but got a story that was fun and realistic. I liked Rebecca, she’s a loyal friend and family member, married for 18 months to Greg. Somewhere along that time he’s changed though, and now work and promotion consumes him, leaving little time for anything else. Each time Rebecca tries to talk he’s too busy. When he started criticising her, her clothes and style, her creative job, her friends and family it was hard to hear. You can see how slowly, insidiously, he’s chipped at her confidence. He really is an arrogant bore. Then there’s her friend Abi, who Greg hates. She’s full of fun, very outgoing, in love with her boyfriend Nick and does her best to help Rebecca. She doesn’t like what Greg is doing to her, it’s always easier to see from the outside, but Rebecca has always excused his behaviour. The last few months have been tough though, and she’s just beginning to realise how much of herself she’s given up. Out of the blue Abi gets a weekend in a very elite and fabulous hotel. Her boss is unable to go and has asked Abi if she wants to take his and his wife’s place, so she persuades Rebecca to come. Greg’s away yet again for the weekend so they decamp to York. Its a wonderful place and Rebecca begins to relax. Then coming downstairs she trips, and gets caught by non other than famous footballer Alex. Right off there’s a sizzle between them and Alex just can’t get her out of his head. He’s also staying in the hotel for the weekend with a friend, Kenny. Before she knows what’s happened somehow Abi and Kenny have got talking and the four are out together. Its all very above board between Alex and Rebecca, he knows she’s married, but the conversations between them flow easily. Abi and Kenny arrange a dinner the next night with with a relative of his. His uncle and girlfriend were a great pair, very stereotyped but so funny and I’ve seen couples just like them. They added a nice touch to the colour in the novel, and a way to get Rebecca to look at Alex from another view. Its a kind of slow build, with the deterioration of Rebecca’s marriage and Greg’s bombastic attitude and reluctance to see anything wrong. He just talks over Rebecca, ignores what she says and dumps more arrangements on her. She misses Alex, the easy chats they had, the way he listened to her in contrast to Greg just ignoring her or talking over her, the attraction they both felt that can’t be ignored and it makes her take a stronger look at home. Greg really was a dislikeable person, but I enjoy a character like him in a novel – and his ex Nina, another great bi tch character. As things slowly build up we can see how easy it is for a relationship to crumble if both people aren’t on the same wavelength, how people change over time, how important friends are. Without Abi Rebecca would have struggled so much, in an unhappy marriage, trying to sort it and missing Alex all at the same time. The story and characters felt so very real, showed how easy it is to stray if that extra step is taken. Both Abi and Nick come close to the edge too despite being in love, and I liked the way it made them assess what they had instead, and move forward. Rebecca didn’t get that chance with Greg, he put the blame all on her and his plans were just to kind of upgrade her like a Stepford wife till she fit the role he needed. Sadly that happens, there are people like that 😦 husbands and wives. Its a really fun and interesting read with a HEA. 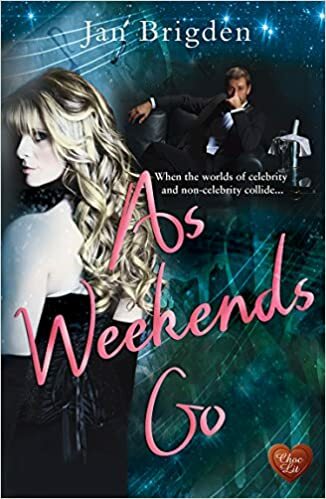 I loved the way it was paced, loved Alex and Rebecca, hated Greg and Nina….I do so love some strong characters in a novel and these worked so perfectly.